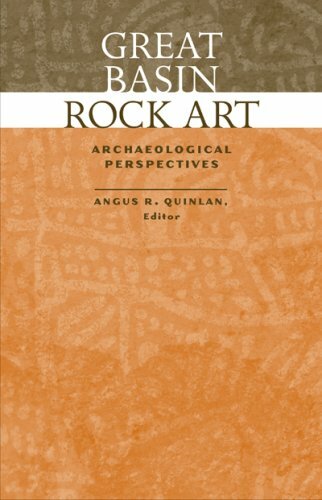 Rock art is one of humankind's most ancient forms of artistic expression, and one of its most enigmatic. For centuries, scholars and other observers have struggled to interpret the meaning of the mysterious figures incised or painted on natural rocks and to understand their role in the lives of their long-vanished creators. The Great Basin of the American West is especially rich in rock art, but until recently North American archaeologists have largely ignored these most visible monuments left by early Native Americans and have given little attention to the terrain surrounding them. A land of mountains, forests, wetlands, lakes, and rivers, the Klamath Basin spans the Oregon-California border. Farms and ranches, logging towns, and back-to-the land communities are scattered over this 10-million-acre bioregion. 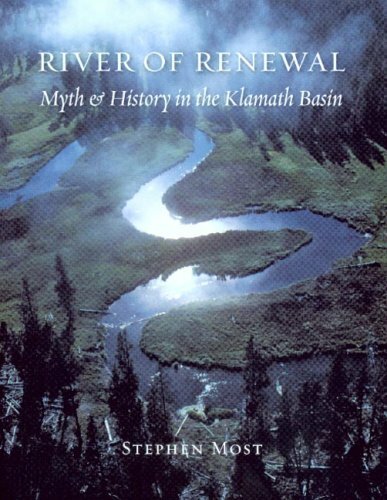 There are Indian reservations at the headwaters, at the estuary, and across the major tributary of the Klamath River. In this place that has witnessed, ever since the Gold Rush, a succession of wars and resource conflicts, myths of the West loom large, amplifying the differences among its inhabitants. When Mormon ranchers and Anglo-American miners moved into centuries-old Southern Paiute space during the last half of the nineteenth century, a clash of cultures quickly ensued. W. Paul Reeve explores the dynamic nature of that clash as each group attempted to create sacred space on the southern rim of the Great Basin according to three very different world views. With a promising discovery of silver at stake, the United States Congress intervened in an effort to shore up Nevada’s mining frontier, while simultaneously addressing both the "Mormon Question" and the "Indian Problem." Even though federal officials redrew the Utah/Nevada/Arizona borders and created a reservation for the Southern Paiutes, the three groups continued to fashion their own space, independent of the new boundaries that attempted to keep them apart. When the dust on the southern rim of the Great Basin finally settled, a hierarchy of power emerged that disentangled the three groups according to prevailing standards of Americanism. 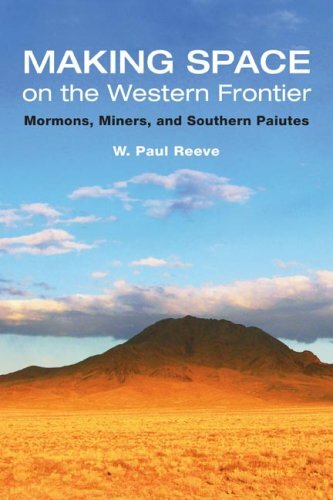 As Reeve sees it, the frontier proved a bewildering mixing ground of peoples, places, and values that forced Mormons, miners, and Southern Paiutes to sort out their own identity and find new meaning in the mess. In this adaptation of his Unv. of Utah history dissertation, W. Paul Reeve examines the early interactions of Southern Paiutes, Mormons, and miners in southern Utah and Nevada.The three groups guarded differing aspirations, worldviews, and concepts of space.To Dr. Reeve the miners represented mainstream America and its capitalism, to which the other groups had to warily adapt.An early chapter discusses the meaning of the land in the three cultures, and a later chapter contrasts views on death and burials.The middle chapters focus in turn on each group and their approach to interactions with the other two. 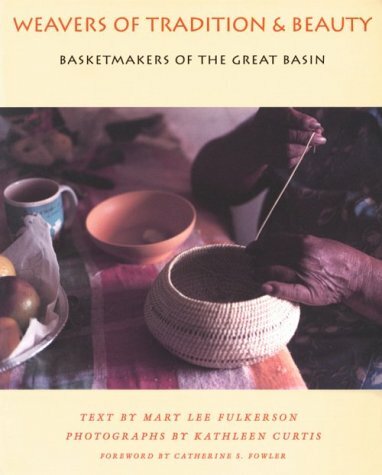 The book's scope is limited in time (from about 1860 to 1910) and space (to a few southern counties in Utah and Nevada).Much of the narrative takes place in Hebron, Utah and Pioche and Panaca, Nevada.Indications of the extent to which the experiences of these communities generalized are not as abundant as I would have preferred. Dr. Reeve's writing is professional and engaging.It clearly emphasizes his themes and repeats them in the chapter conclusions.Interesting historical incidents support each theme and make the read enjoyable. 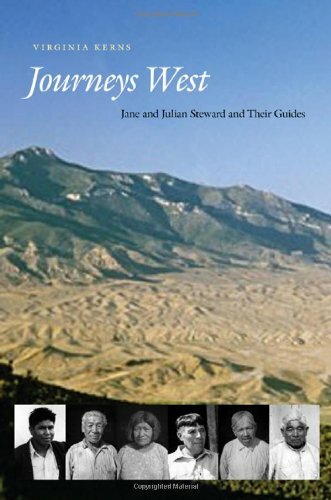 Journeys West traces journeys made during seven months of fieldwork in 1935 and 1936 by Julian Steward, a young anthropologist, and his wife, Jane. Virginia Kerns identifies the scores of Native elders whom they met throughout the Western desert, men and women previously known in print only by initials and thus largely invisible as primary sources of Steward’s classic ethnography. Besides humanizing Steward’s cultural informantsrevealing them as distinct individuals and also as first-generation survivors of an ecological crisis caused by American settlement of their landsKerns shows how the elders worked with Steward. Each helped to construct an ethnographic portrait of life in a particular place in the high desert of the Great Basin. The elders’ memories of how they and their ancestors had lived by hunting and gatheringa sustainable way of life that endured for generationsrichly illustrated what Steward termed cultural adaptation. 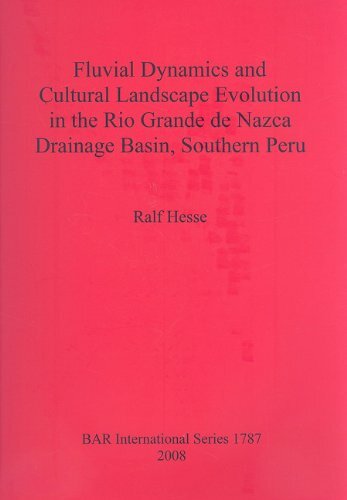 It later became a key concept in anthropology and remains relevant today in an age of global environmental crisis. Based on meticulous research, this book draws on an impressive array of evidencefrom interviews and observations to census data, correspondence, and the field journals of the Stewards. Journeys West illuminates not only the elders who were Steward’s guides but also the practice of ethnographic fieldwork: a research method that is both a journey and a distinctive way of looking, listening, and learning. Shrouded in the lore of legendary Indians, Mt. Timpanogos beckons the urban populace of Utah. And yet, no “Indian” legend graced the mount until Mormon settlers conjured it—once they had displaced the local Indians, the Utes, from their actual landmark, Utah Lake. On Zion’s Mount tells the story of this curious shift. It is a quintessentially American story about the fraught process of making oneself “native” in a strange land. But it is also a complex tale of how cultures confer meaning on the environment—how they create homelands. Only in Utah did Euro-American settlers conceive of having a homeland in the Native American sense—an endemic spiritual geography. They called it “Zion.” Mormonism, a religion indigenous to the United States, originally embraced Indians as “Lamanites,” or spiritual kin. On Zion’s Mount shows how, paradoxically, the Mormons created their homeland at the expense of the local Indians—and how they expressed their sense of belonging by investing Timpanogos with “Indian” meaning. This same pattern was repeated across the United States. Jared Farmer reveals how settlers and their descendants (the new natives) bestowed “Indian” place names and recited pseudo-Indian legends about those places—cultural acts that still affect the way we think about American Indians and American landscapes. 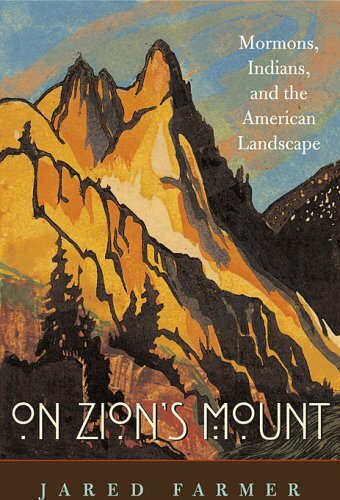 My husband is enjoying reading the book, On Zion's Mount. This book was on a list of recommended readings for the staff and employees of the Church History Library. I saw this book mentioned on a blog, and thought I would pick it up. I have lived in Utah for 43 years, and have always felt that there is something magical to this area of the world as far as the terrain is considered. What I would give to see Utah and the western region before modern man enveloped it. This book is a terrific history to imagine just that. What it was like before modern man moved westward. I really enjoyed the history, and the way it was written. Never boring, always moving in a direction. Very enjoyable read, and I highly recommend it to anyone that enjoys the Utah region and historical significance. I enjoyed this book very much.I have always loved Mount Timpanogos and appreciated the old and newer folklore and fact about it. Thanks Jared! For the past several years, I have lived in a place with Mount Timpanogos practically in my backyard and a great view of Utah Lake close by. I have been aware of some of the recent history of American Fork and Provo canyons and Utah Lake as well as the folklore told about Timpanogos Cave. However, like most people in Utah Valley, I have been unaware of where these places really fit in history. 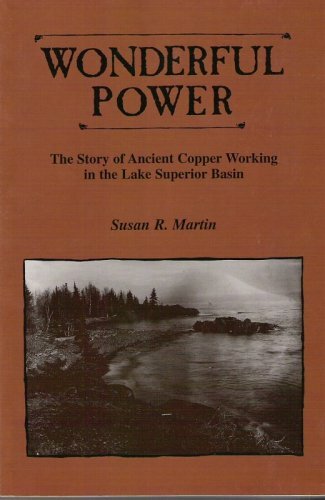 This book was written to inform us of the forgotten history - that Utah Lake was once the dominant feature that this valley was known for, and that Mount Timpanogos (often referred to locally as "Timp") is actually a very recent landmark. The book is made up of a long introduction, which gives a good summary of the entire book, followed by three parts that tell different aspects of the same story. 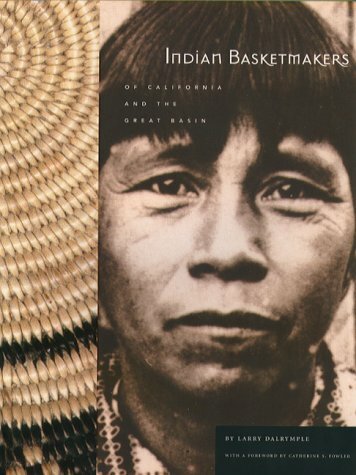 In the first part, the book tells about the Indians that inhabited the valley (not the mountains) and depended on the lake and rivers for trout and other food fish. When the Mormon pioneers came, they coexisted with the Indians in both the Salt Lake and Utah valleys for a time, sharing the hot and warm springs near the Great Salt Lake as well as the fishing places at and near Utah Lake. At that time, the mountains to the east were simply that - "the mountains." The Indians were eventually forced out to reservations, and the settlers continued using Utah Lake until the 20th century when it was polluted and forgotten, except as a shallow lake mostly populated with trash fish, and the site of Geneva Steel. Part two explains that as the lake vanished from prominence, Mount Timpanogos was turned into a landmark in the 1910s and 20s in a campaign spearheaded by a BYU faculty member, Eugene Roberts, who led hikes to the top and made up the legend of the Indian princess that is still retold to visitors of Timpanogos Cave. The book goes into great detail about how the hike became an institutionalized yearly event which was repeated into the 1960s before being discontinued, although individuals and smaller groups still continue to make it today. It also traces the history of hiking from Europe to the United States to fit the Timp hike into context, as well as giving a brief history of places such as Sundance, Mutual Dell, Aspen Grove, and Timpanogos Cave. 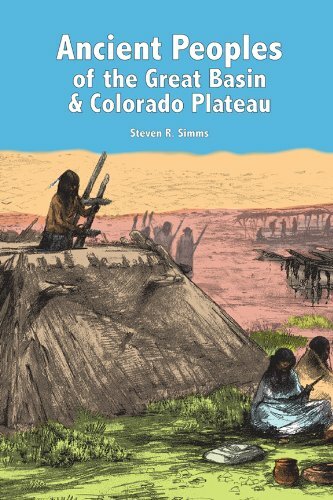 The third part discusses the history of naming places throughout the United States in memory of the original inhabitants, often creating legends to go along with them. It shows that what has happened in Utah is similar to what has happened in the rest of the country - as the Native Americans were forced out of the land, Indian-sounding names and legends were created to commemorate them, so that what we tend to know about them was largely fabricated. Ironically, some of these legends have now been picked up and retold by Indians living today as authentic - including the one that is retold about Timpanogos Cave, even though the particular formation mentioned is in a part of the cave that was not accessible until a passage was made between the original two caves. I found most of the book to be very interesting, although parts of it were very tedious to get through. In putting everything in perspective in history, it seemed as if the author was continually going off on tangents, although I'm sure others may find these parts more interesting than I did (there were over 45 pages devoted entirely to "Lover's Leaps," for instance). I also found that a dictionary was often a handy accessory. The author tends to write very long paragraphs with a single footnote at the end, so it is difficult to pin down many of the sources, and for some of the material which should have had sources cited, there were none. Near the beginning of the notes the author states that many secondary sources regarding LDS history aren't cited because there is a great bibliography available for them, but it would have been much more helpful to not leave the reader wondering where some of the information came from. The history of the LDS Church is recited in varying degrees of detail from its founding to the settlement of Utah, dealings with the Indians (although they were considered to be descendants of the Lamanites, there was limited success in coexisting peacefully), and then up through the present day in relationship with the subject of the book. However, there are some dubious claims made, some exaggerations, and some things that are arguably untrue. In some cases this is a result of using questionable theories from secondary sources and stating them as facts. For instance, it is stated that "A reluctant pragmatist, Woodruff meant his 1890 edict (popularly known as the Manifesto) to be a delaying tactic. On the basis of a revelation given to Joseph Smith, many Mormons expected the Millennium to begin in 1891." While there is evidence that some members expected the Second Coming to happen at about that time, due largely to a revelation given to Joseph Smith that is contained in Doctrine and Covenants section 130 (at the end of which Joseph notes that he's unsure of the actual meaning), it seems unlikely that the Manifesto would have even been issued if Wilford Woodruff expected it to be that imminent. Another example is the statement that "In 1981 the Church quietly revised the Book of Mormon passage relating to the promise of the Lamanites: they would become `pure and delightsome' instead of `white and delightsome.'" The implication is that the text was changed to try to make the Book of Mormon less racist. This change was actually made in the 1840 edition of the Book of Mormon, but was then forgotten (because later editions were based on the 1837 edition) until it was restored in the 1981 edition, where it is noted that "Some minor errors in the text have been perpetuated in past editions of the Book of Mormon. This edition contains corrections that seem appropriate to bring the material into conformity with prepublication manuscripts and early editions edited by the Prophet Joseph Smith." It's doubtful that Joseph Smith had racism in mind when the change was made or other similar verses would have been changed as well. 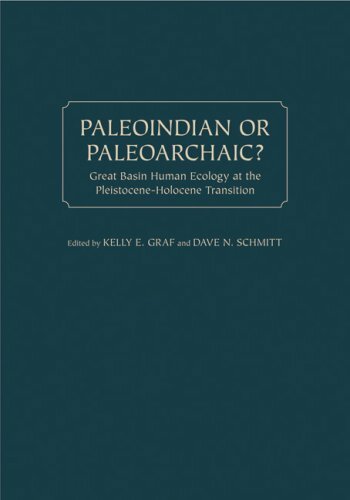 To Farmer's credit, when he discusses the recent studies that show no relationship between the DNA of "contemporary native peoples of Israel and the Palestinian territories and of contemporary native peoples of the Americas," he states that it's possible that the Lamanites were absorbed by other population groups, and that "The science of historical genetics is young; the evidence is sure to change." However, in the footnotes he only cites the works of those that claim the DNA issue to be problematic.